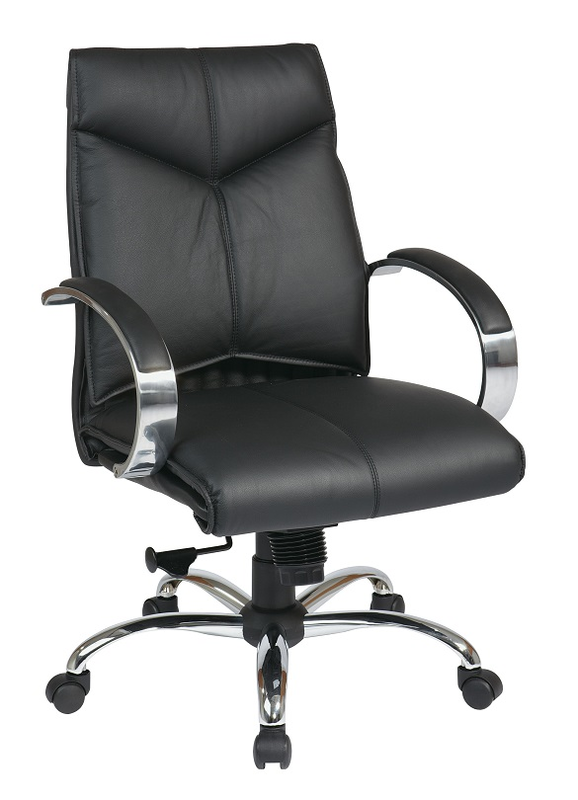 Bring a well designed professional appearance to any office with our Deluxe Executive Leather Mid-Back Chair. This Pro-Line II™ chair features contour seat and back with built-In lumbar support, one touch pneumatic seat height adjustment. Locking mid pivot knee tilt control with adjustable tilt tension. Other features include soft padded chrome arms and black Top Grain Leather on all seating surfaces. Complete with heavy duty chrome base with dual wheel carpet casters and is GreenGuard indoor Air Quality Certified and backed by a limited lifetime warranty.